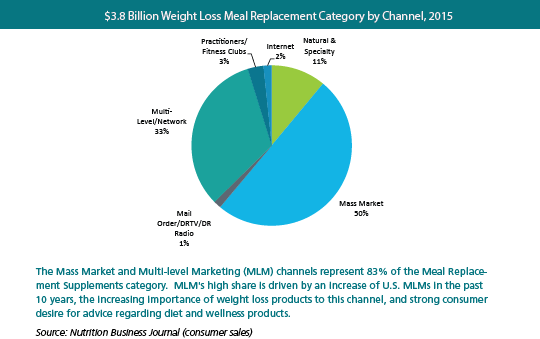 The weight loss pill category has seen declining growth over the last few years, but meal replacements have held steady for a decade. This may be indicative of safety wariness in the weight loss pill category but a continued desire for weight loss products in a nation where more than 1 in 3 people are obese, according to the Centers for Disease Control. Mass market and MLMs see the fattest revenue in the category with 83 percent of combined market share. 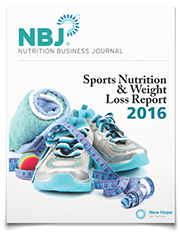 See how this data compares to sports nutrition, sports energy and other categories in the NBJ 2016 Sports Nutrition and Weight Loss report, out now.